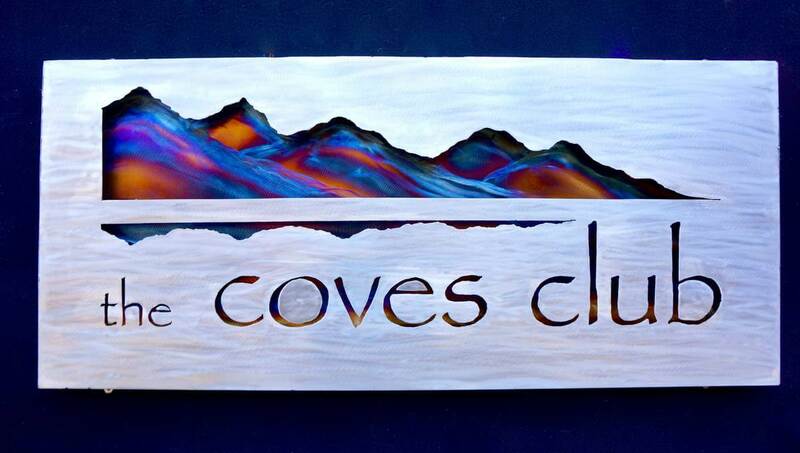 This metal sign is wall hanging and handmade entirely of stainless steel. This is a two layer sign with the back layer colored and the front cut out creating a depth that i am very pleased with. The letters are not perfect as they are all cut out by hand but I have always found the natural motion of the hand to make things feel more organic and alive. This sign is completely safe to be kept outdoors!